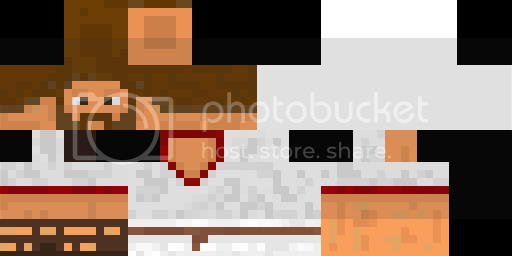 STUGACE'S ROMECRAFT:GERMANIA - BLOCKS, ARMOR, WEAPONS! 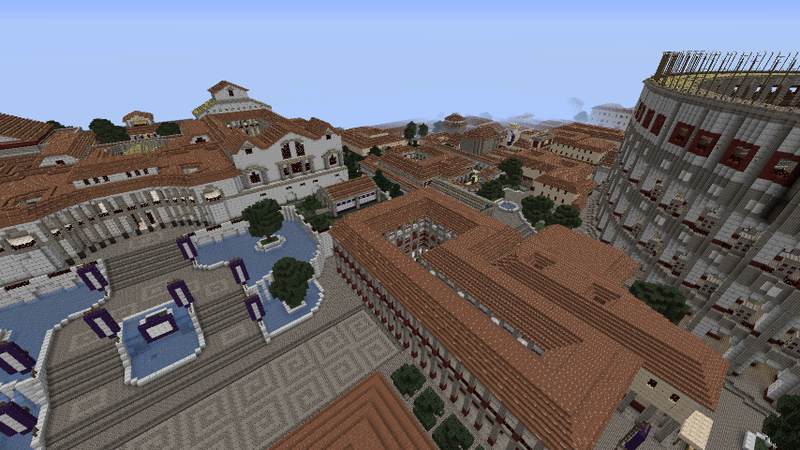 Or visit Planetminecraft for updates! 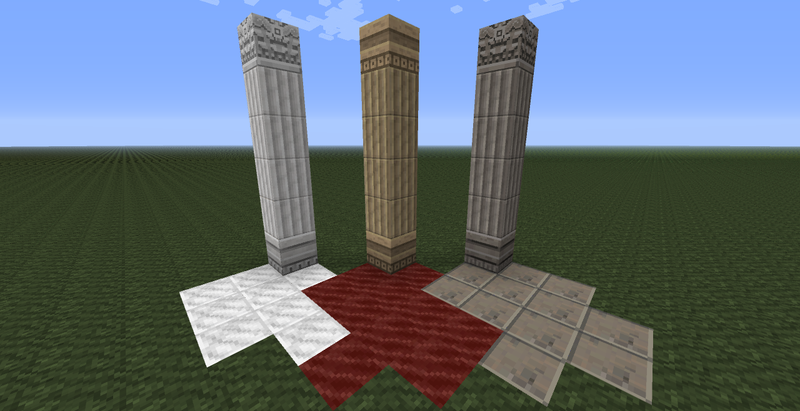 ", courier, monospace">I decided to create my very own texture pack based on ancient Roman-style materials. I did not change a lot, since I wanted to keep the game similar to its original format. The look of the game hasn't changed much, except for building material, so that cobblestone is now Roman (Germanic) Cobblestone, brick is now Roman brick, et cetera. 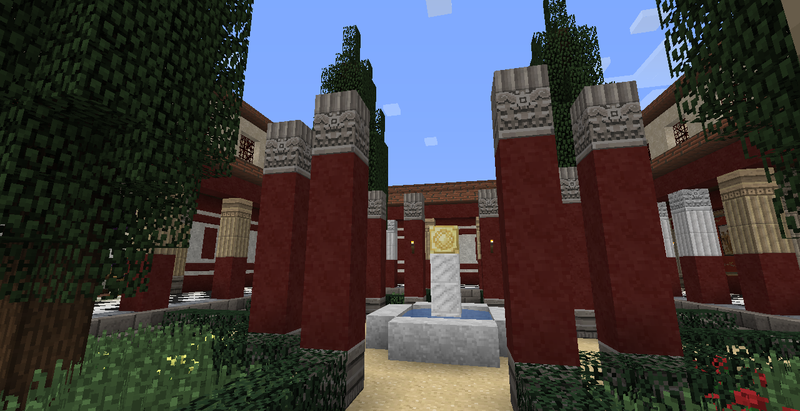 I aimed to be historically-minded, so much of the textures resemble materials or items available to the ancient Romans, with a Minecraft twist! 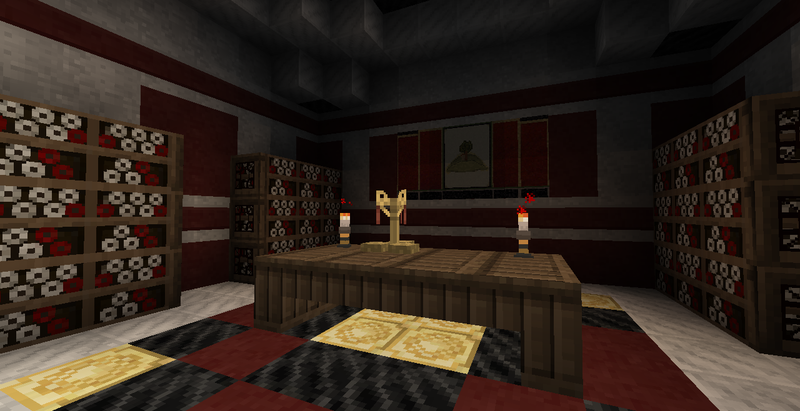 THE FOLLOWING IMAGES REPRESENT AN OLDER VERSION OF ROMECRAFT (Pre Version 16)! Images to be updated soon. PLEASE tell me any errors/suggestions you have for me. I cannot improve without second opinions! I have been looking for this for a very, very, very long time! THANK YOU! 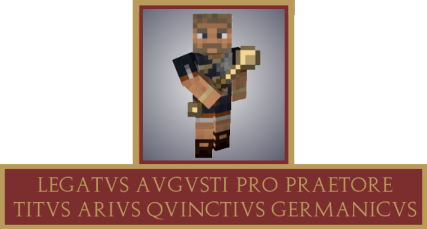 This would be a good skin for the roman based clan I'm in. I smell a offical skin! Minecraft: why would I tell you that? Does whatever a Creeper pig does. Added pictures of armor! Also note I made a gladius. Well done! I like this a lot! Location: The Bat Falcon, my starship. You may not have picked up on it, but I want. Ohm i want. Are you gonna skin mobs too? *Edit* Wow, I forgot about this, it's come along way 0.0 Great work man. I may change the zombie, but I think creepers and skeletons will be the same or similar. 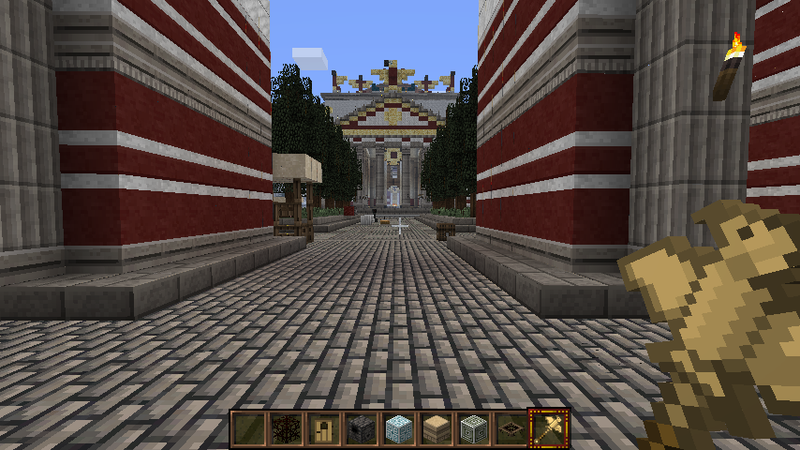 Excellent themed texture pack! The first pic looks epic at the 16x16 res you're using. Very well done indeed and the character skins are perfect. I am really looking forward to this to make my dreams of a GRAND Rome true! Will you do the items too? Most of the items were replaced. More to do later once I figure out what I want to do with them. Also, Beta is out in a few minutes. Ready for download and testing. I'm gonna go test it out! First one to do so. By the way, I'm running Ubuntu so you'll know it runs fine on Linux. Awesome, remember to provide any suggestions you may have! 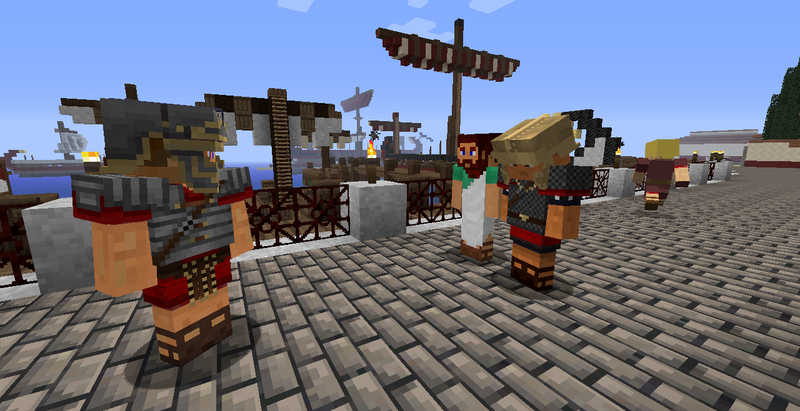 Legions of blocky Romans marching through the forum (the building, not the forum) on their way to defeat the evil gaul blocks. I like the sound of that! Link at top of thread is new. Redownload it! 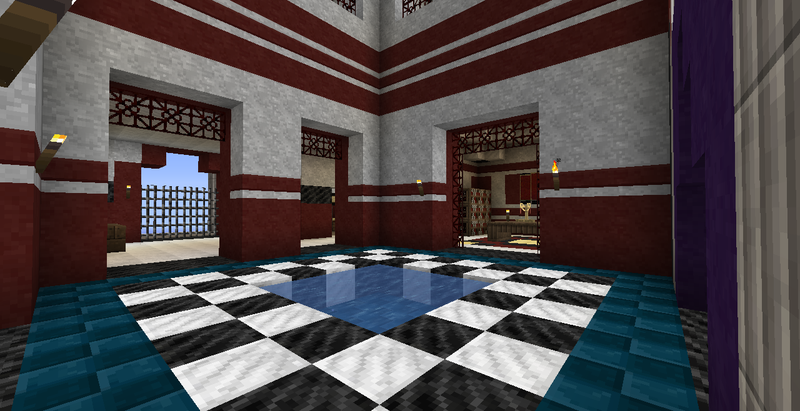 - Got rid of ugly half-tile texture, improved it! I must say Ace, this isn't half bad! The thing I like most about it is that it actually feels roman, and it stays constant with the theme. Well done. Half-tiles = fail. New set are too dark and I overrode the old ones by accident. Sooo I made new ones. Still not happy, give me suggestions for textures!